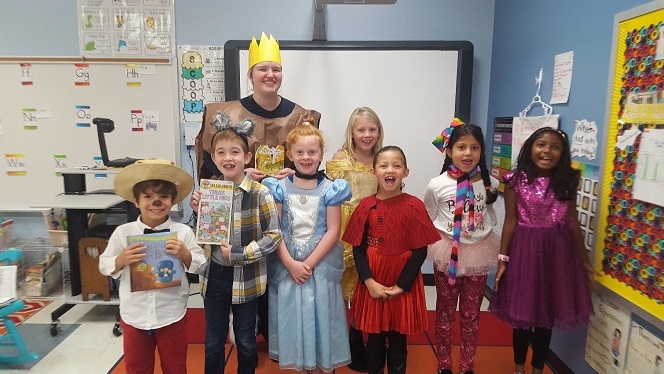 Second graders in Mrs. Eanes class share during World Reading Day. A very big Thank You to our PTO Angel Tree Co-Chairs, Tanya LeMay and Blake Miller for all of their time and hard work in coordinating our Angel Tree this year!!! It truly was a labor of love!!! 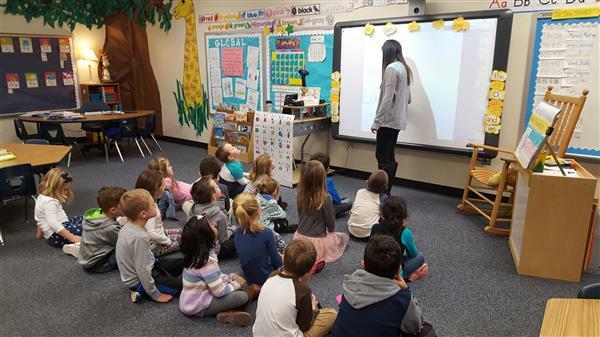 The Kindergarten students enjoyed learning about Weather today through an interactive presentation given in-house by Discovery Place. Waxhaw Mayor visits second graders at Kensington Elementary to talk about his role in the government. First grade does an Atomz Lab Get Moving field trip in school today. Catapults with spoons and marshmallows. Who else has a unicorn come as a mystery reader for their class? Mrs McLeod's class had a wonderful time learning about South Korea. First, Mrs. Kim read aloud a Korean New Year story. Then, we got to dress in the traditional clothing of South Korea, called "hanbok". We even tried Honey Twists, a delicious South Korean snack. Thank you, Mrs. Kim! We can't wait to learn more about South Korea! Several Kensington students won awards in the 3-5 painting category over the weekend. We are so proud to have their work displayed. Hello, Phoebe! A furry friend came to visit with a mystery reader to Ms. Kiradjieff's kindergarten class. Mrs. Hilkert's class learns some facts about France from a visitor who lived and studied in Lyon. Ms. Williams lived and studied in France for a year and now uses her French in her job. Australia comes alive with a parent visit! Students got to ask questions, see pictures and learn about Australia when a parent came to visit the classes. Community helpers came to visit KES pre-k and kindergarten classes! Discovery Place visited Kensington this week and had fun with our kindergartners learning about weather. 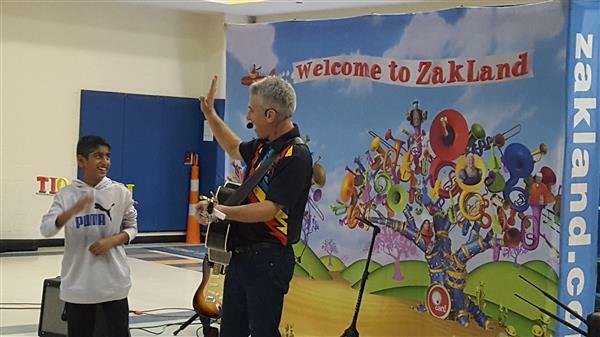 Zakland is a world filled with music and imagination where anything is possible if you try hard and believe in yourself. The themes of the show are reading, imagining and I CAN DO IT! 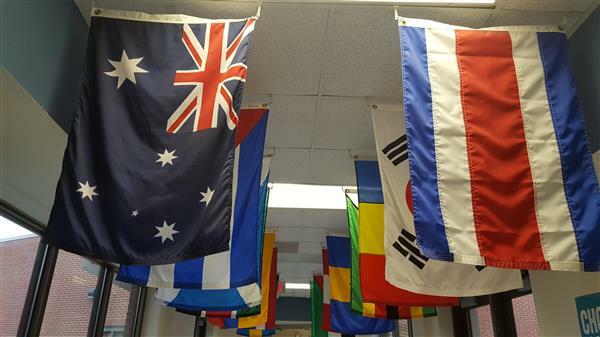 Why are there flags from England, Scotland, Finland, Mexico, Thailand, China, India, etc. in the hallways at Kensington Elementary? Here is the information you need to enroll your child for kindergarten. If you plan to enroll your student for the 2018-19 school year, now is the time to start gathering the documents you will need to complete the registration process. Mrs. Sinople's 5th grade AIG class is using LEGOs to do math. Celebrating and thanking our veterans! 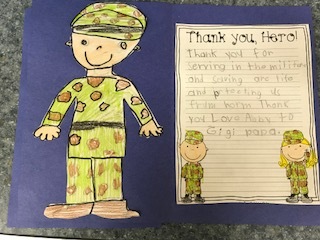 Classrooms learned about Veteran's Day and thanked our veterans for their service. Thank you to all the students, parents and community members who helped with the fall cleanup on Sunday! The Hornet's Book Bus was created to demonstrate the importance of reading to elementary school children. Fourth grader visits a first grade class to talk about living in the Canary Islands. Kensington is an "A + School"!! 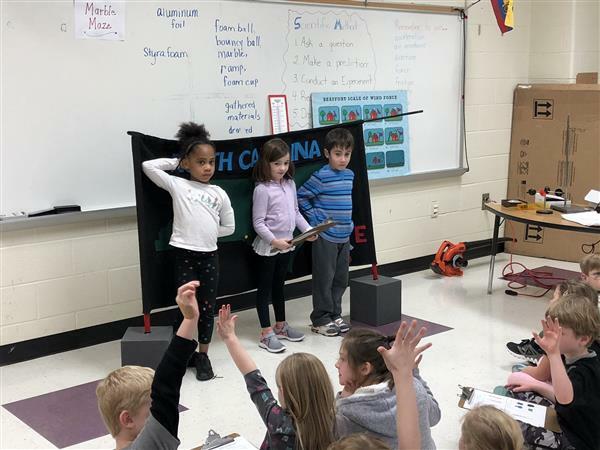 In the Fall of 2017, Kensington was rated as an "A+" school by the North Carolina Department of Public Instruction. This is the highest designation a school can receive and it is based on the accountability results from the 2016-2017 state testing. What questions do you ask when you have an audience with a prince?